Mantic Games is pleased to announce that the new Clash of Kings supplement is available now. The 72-page supplement includes new units, faction changes, refreshed spells and more for the mass fantasy battle game Kings of War. After the success of the Clash of Kings supplement in 2017, Mantic went back to the drawing board for the latest edition. 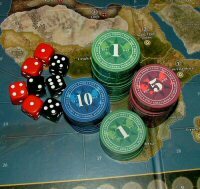 Using data from tournaments around the world, the Kings of War Rules Committee looked closely at those units that needed to be re balanced to ensure Kings of War remains competitive (and fun). This means there are more than double the amount of unit amends in the latest edition. What’s more, after launching the idea of formations in the Edge of the Abyss summer campaign, Clash of Kings 2018 expands upon the idea and introduces brand new formations for all factions in Kings of War. Alongside this there are new Living Legends for a range of armies, including a massive catapult for the goblins and a gigantic Fire Elemental for the Forces of Nature. But Clash of Kings isn’t the only big change for Kings of War in 2018. Also launching this week are the brand new Battlefield Cards. This deck of cards adds new objectives to battles, random events and new strategies to push your armies to the limit. Using the Battlefield Cards will ensure that no two games ever play the same! 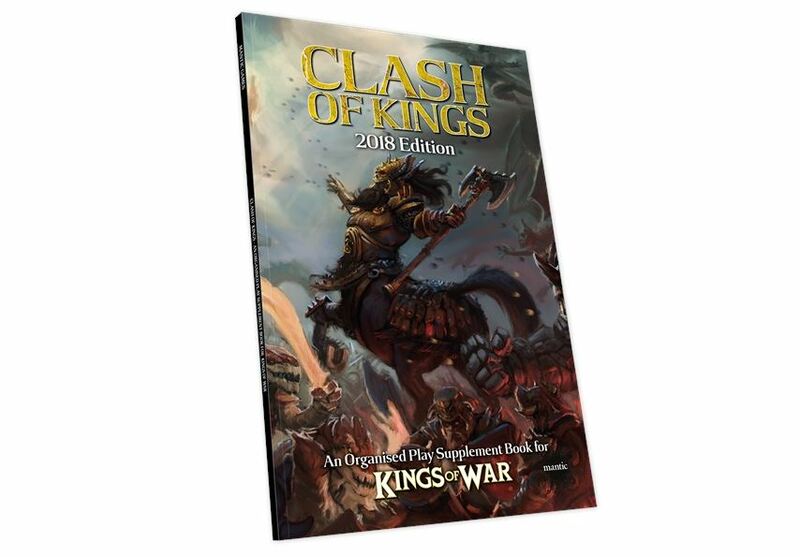 Clash of Kings 2018 Edition has an RRP of £14.99/€19.99/$24.99 while the Battlefield Cards have an RRP of £7.99/€10.99/$12.99. Both are available in stores now.